All those nooks and cranny… how can you NOT love them, right? Since I started making all of our bread from scratch, our selection has been fairly limited to variations on the “loaf”. 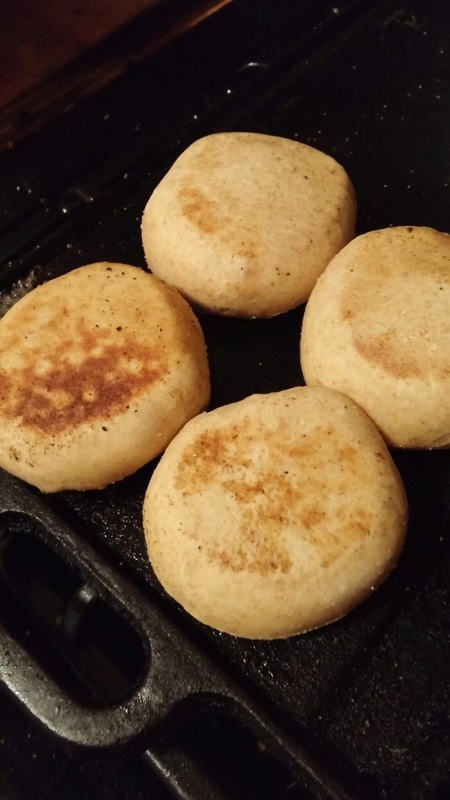 I had experimented with sourdough pancakes, but not rolls and no english muffins. From dough to bread takes about 17 hours, most of which is just waiting for the dough to rise, but it is sooooo worth it! The only problem with the recipe is that it just doesn’t make enough at one time. 🙂 I find that with most recipes I usually end up at least doubling it. When we had all the kids at home I would have to TRIPLE the recipes. 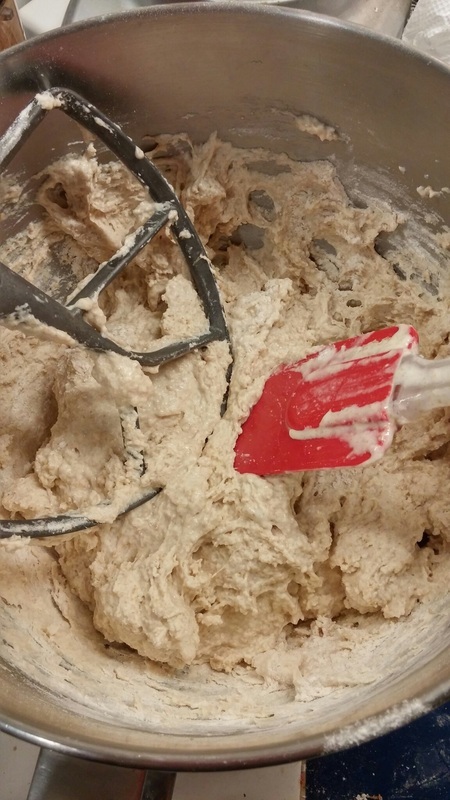 When I first started making bread, my recipes called for 11 cups or more of flour and I had to mix it all by hand. My mother in law got me this great Kitchen Aid Pro 600 Stand Mixer for Christmas one year and I LOVE it! It handles even my biggest jobs. Hi . I paired your wonderful muffins with two of my favorite jam recipes. Super yummy. I adore sourdough. wow! these look really good. I want to try this recipe this weekend. They would go awesome with my homemade strawberry balsamic jam, I am going to share this recipe on my blog with my jam recipe. Thanks so much.I will let you know how mine turn out.